The Victorinox 40492 Channel Knife is an excellent way to add the finishing touches to a number of dishes, drinks, or all-around exceptional presentation pieces. A channel knife is used to produce long, thin strips from the peels of oranges, lemons, limes, or just about anything that has a peel. These strips are then great for adding flavor or pizzazz to your customer’s favorite cocktail! 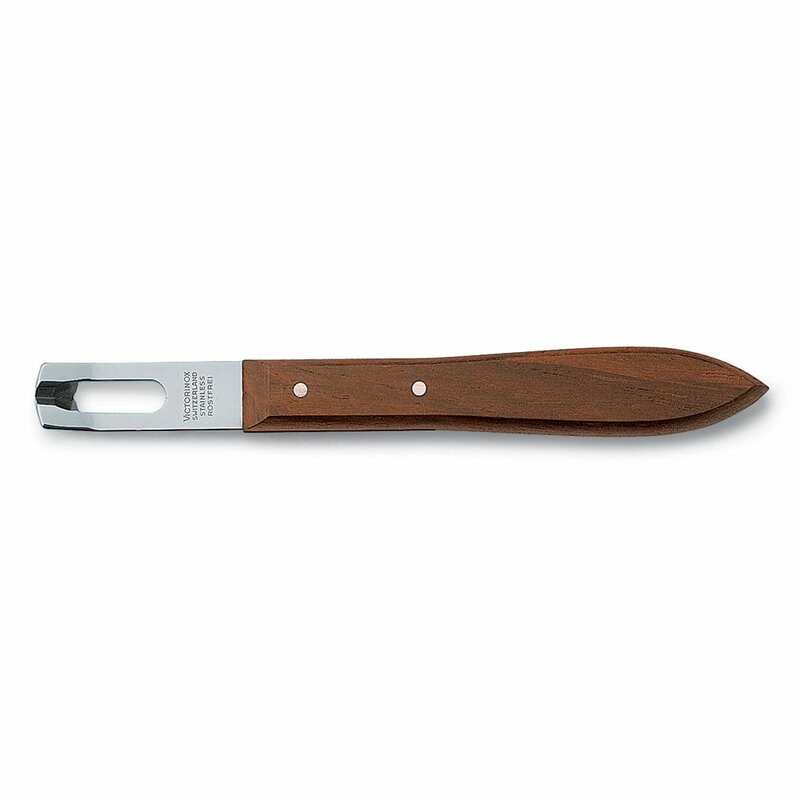 Outfitted with a classy wooden handle that’s ergonomically designed to help reduce wrist tension, the Victorinox 40492 Channel knife lets you work in comfort. Pick yours up today!